I know that the image above is a bit of a departure from what you normally see on this blog, but I just couldn't help myself today. 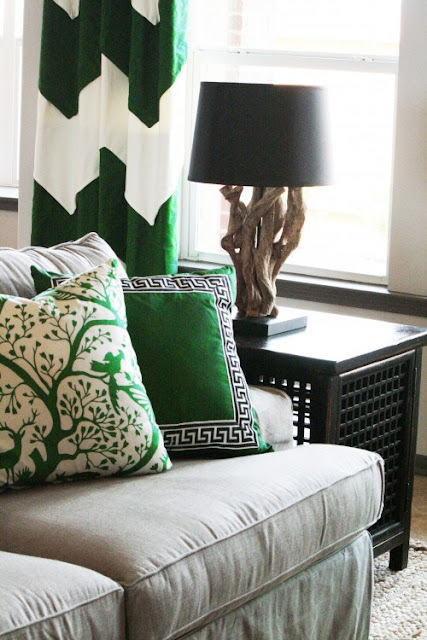 I've fallen madly in love with the color green this season, and not just in fashion but also in interior decor. What's not to love about the elegantly smoldering, yet positively refreshing color, green. There's also something commanding about it to, like it demands attention. And you know me, I'm all about making a statement whenever possible. Life's too short not to have something that stands out whether it's on your body or in your home. I thought it was only fitting to show you how closely linked fashion and interiors are through the use of the color green. Green can go with a multitude of colors and textures. What other vibrant color goes with white, black, gold, blue, pink, yellow, purple, animal print...the list goes on. See my point? 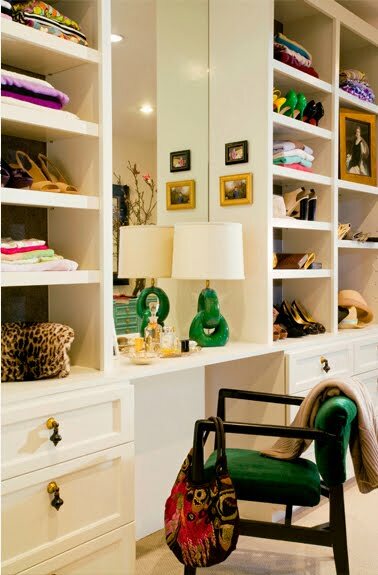 You just gotta love it for your wardrobe and your home. Below you will find interiors that either use the color green as accents, or as the main focus of the space. Either way, I am loving it and only want to see more of this seductively modern color. Gorgeous photos, especially the last one even though it's the most simple..who would think to buy kelly green drapes?! Love it. Dưỡng Tâm Sư có địa vị tôn quý, nhưng sức chiến đấu lại không cao.